Used inside helicopters during temporary transport of various loads. They are designed to withstand impact forces and keep the loads in place in the event of a crash per Code of Federal Regulations (CFR) design requirements. The Barry engineering team performs testing and produces a complete Airworthiness Substantiation Analysis and Report with FAA-DER review and approval for these safety nets. Barry offers standard cargo nets for various models of helicopters (such as Bell 429, Bell 412, Mi-171, etc.) and can design and fabricate other models upon request. 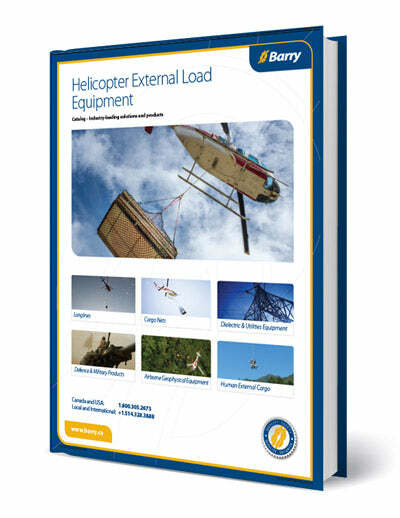 Download our Catalog of Helicopter External Load Equipment.